In order to Bet of FIFA, and win in the growing esports markets, it is important that you understand what odds are, how to read them and how you can use them to determine which market to wager on. Betting odds represents the probability of a particular outcome happening, and are used to determine how much you win. In the world of esports betting, the number of players taking an interest in making bets on FIFA is fastly increasing as the game itself is increasing its public profile. This should not be surprising since bettors who have gotten used to sports betting would be more likely to understand a sports game such as FIFA rather than the more fantastic games that are popular among esports such as CSGO and Dota2. As with any other type of sports betting, your chances of success in betting on FIFA esports depends on how familiar you are with the game. In fact, you would be at a great advantage if you actually played the FIFA game so you would know how it works and what it takes to win. Aside from that, you will have to do your homework and study the players’ records. This can be a little challenging since you are not only looking at the record of a particular player but also that of his opponent and how they might fare when pitted against each other. How did the player/s fare in the last five matches they played? Have these two particular players played against each other in the past, and if so, how did it turn out? What is the player/s current form in the tournament they are playing? What are their particular play styles and what are their strong and weak points? This sounds like a lot of homework, but it shouldn’t be if you genuinely love the game and are following it. Esports betting is becoming an increasingly popular sector of the online gaming market, and it is estimated that by 2020 the global eSports betting market will be worth almost $30 billion. And it is no underground activity, but one that is fully regulated and is taking place all over the world. These bets are treated as if they were bets on traditional sports, with the same system of odds and payouts based on different outcomes. There are even sportsbooks these days that specifically cater to esports bettors. But bettors can also make wagers with stakes other than real money. For instance, they can bet for virtual items, and they can even use these items as currency to bet with on esports betting sites. These items can include virtual currency and accessories that can be used during the game. While these have no real-world value, they are highly prized by gamers not only for their utility but also because these items represent a higher status in the world of the game. Of course, gamers can also organize wagers among themselves, with skins as the stake. These bets are known as ‘challenge’ wagers since the gamers compete with each other, with the winner taking the skin as his prize. There are also sites that organize these challenge games, with formal rules and entry fees, from which the prize pot is drawn. If you would like to win at betting on FIFA esports, it is important that you understand what odds are, how to read them and how you can use them to determine which market to wager on. Betting odds represents the probability of a particular outcome happening, and are used to determine how much you win. Wagers can be roughly divided into two categories based on the probability of a particular outcome happening – odds-on and odds-against. In an odds-on wager, you are making a bet on a team or player that is highly likely to win, while in an odds-against wager, your bet is highly likely to lose. Thus, your potential winnings are lower than your stake in an odds-on wager, while in odds against wager, it is the opposite. Let’s say you are betting on a match where Reynaldo is pitted against Calderon. Reynaldo is seen as being the likely winner, so the odds when you bet on him are 2/3. This means that in order to win $3, you must bet two. On the other hand, if you were to make a bet on Calderon, the odds might be 8/1. This means that for every $1 you bet, you will win $8 if the wager goes your way. To compute your potential profit, simply multiply your stake by the fraction, i.e. if you are betting $5 on Calderon, you can compute how much you can win by multiplying 5x(8/1) = $40. On the other hand, if you are betting $5 on Reynaldo, your potential winnings are 5x (2/3) = $3.33. The above is an example of fractional odds since they are expressed as a fraction. You can use them to determine the probability of a certain outcome happening. To do this, multiply the two numbers together and then divide by the number on the right. Thus, in the match above, Reynaldo has a 60% chance of winning (3/ (2+3) x100). It should be noted, however, that the above probability is simply the perception of a particular bookmaker of the outcome of a particular match. Another bookmaker might give the advantage to Calderon, or give different odds on a Reynaldo win. Thus, you can use the above computation to help you determine which odds are the most favourable when you make a wager. Decimal. This is the most common type of odds used by betting sites since it makes computing returns and profits very easy. The higher the odds, the less likely the player or team is likely to win. For instance, Reynaldo now has odds of 1.7 and Calderon, 2.4. If you bet on Reynaldo, you would win $0.70 for every $1 that you bet, while if you bet on Calderon, you would win $1.40 for every $1 you bet. To compute potential returns, which is your winnings plus your stake, simply multiply your stake by the odds. If you bet $5 on Calderon, your potential return would be $12 or winnings of $7 plus your original wager of $5. If you want to compute potential profits, subtract one from the odds. Thus, in the above example, 5x(2.4-1) = $7. To determine the probability, simply divide one by the odds. Thus, the probability of a Calderon win is 1/2.4 x 100 = 41.7 per cent. Moneyline. This type of odds is primarily used in the US and is expressed as a whole number with a ‘+’ or ‘-‘ in front of it. For instance, the odds of a Calderon win are +150, which means that you will win $150 for every $100 you bet. On the other hand, a number with a negative in front of it (i.e. – 150) means that you will win $100 for every $150 you bet. Note that the baseline odds are 100, meaning that your odds cannot go below 100. To determine the probability, add 100 to the odds and divide 100 by this number. Thus, 100/250 x 100 = 40 percent. There are odds calculators available online that will make these computations for you, but if you are serious about esports betting, it would be better if you knew how to make them yourself. Knowing how to compute odds allows you to quickly and easily compare odds from the different markets so that you can decide which one is most advantageous. Note that even what seems like a very small difference in odds between two markets can still add up to substantial profits if you make the right wager. And anything that will give you the least edge and increase your profit potential is something that you should take advantage of. One thing that can greatly give you an edge when you’re betting of FIFA esports games is to be familiar with who the top players are. After all, you would not consider betting on other sports without knowing which players are at the top of their game and able to lead their teams to victory. Spencer Ealing. The winner of the 2017 FIFA Interactive World Cup, Ealing goes by the username “Gorilla”. He has won a total of $278,054 from ten tournaments played in 2015-2017. The English player plays for Unilad eSports and now goes by the name “Unilad Gorilla”. Chevry Corentin. This French player goes by the username Vitality_RocKy and triumphed at the 2017 Ultimate Champions Tournament held in Berlin to become the Ultimate Team Champion, defeating Shaun “xShellzz” Springette. His total prize winnings for 2015-2017 were $173,000 for four tournaments and he plays for Team Vitality. Shaun Springette. Known as “xShellzz”, the UK player is a newcomer to competitive gaming, but showed he could handle the pressure, coming in second at the 2017 Ultimate Champions tournament His total prize earnings for 2017 for two tournaments are $86,000. Cihan Yasarlar. The German player was two-time German champion during the 2017 FIWC season, and he recently signed with Red Bull Leipzig for the FIFA 18 season.His total earnings in 2017 for five tournaments are $44,277. He is currently playing for team Schalke04 esports. Rafael Salles Leite Fortes. Known as “Rafifa 13”, the Brazilian player was one of the eight Grand Final competitors at the 2017 FIWC.He is currently signed with PSG esport. His total winnings for 3 tournaments are $38,000. FIFA is a football simulator that is officially licensed by the Federation Internationale de Football Association (International Federation of Association Football), which is the governing body for the sport and organizes and promotes major tournaments such as the World Cup. The franchise started in 1993 and is currently up to its eighteenth edition (more commonly known as FIFA 19). It is one of the most popular video game franchises in the world, with FIFA 12 holding the record as the fastest ever selling sports game, moving 3.2 million units in its first week of release. 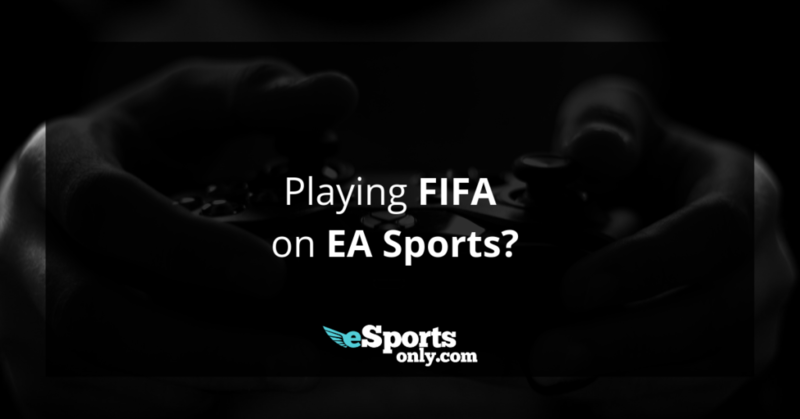 The FIFA games have also licensed teams and leagues from around the world, such as the English Premier League, US Major League Soccer and Australia’s A-League. This allows the game to use real clubs and leagues as well as the likenesses of real players. The latest version of the game features Juventus’s Cristiano Ronaldo on the cover as well as on advertisements. To promote the game, EA has been holding Interactive World Cups in partnership with FIFA. The three-day event pits 32 contestants who have qualified through a series of eliminations, with one emerging as the Grand Champion. To highlight how popular this interactive esports event has become, in 2016 Fox Sports televised the 2016 edition, with the event broadcast in its entirety on Fox digital platforms such as FoxSoccer2Go and FoxSportsGO, while the Grand Final was aired on Fox Sports 1. Qualifying rounds for the World Cup are held on the Xbox and PlayStation networks and are accessed through the latest version of the game. The qualifying rounds use the FIFA Ultimate Team game and run for three seasons, with the best players from each region (Americas, Europe and the Rest of the World) moving on to regional qualifiers. Qualifying events take place over seven months, with millions of participants joining. The Interactive World Cup is recognized by the Guinness Book of World Records as being the largest online gaming tournament in the world, with over 5 million players who have participated since 2009. During the Grand Final, the 32 finishers are divided into eight groups, with the top 16 proceeding to the knockout stage. During the final match, the game is divided into two legs, with one game played on the Xbox and the other on the PlayStation. The winner receives $200,000 and a trip to the Best FIFA Awards, where they have the chance to meet the sport’s top players.